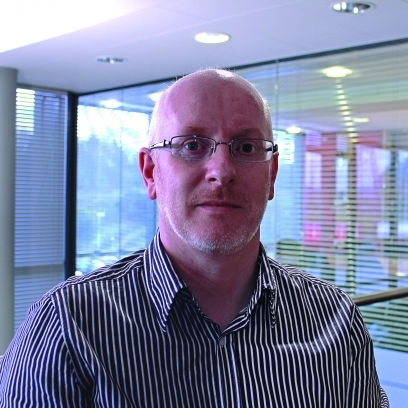 “We chose Encirc because we ‘circle’ our customers with everything they need,” explains Fiacre O’Donnell, Encirc’s Head of Strategic Development, talking about the name that it adopted back in 2014. 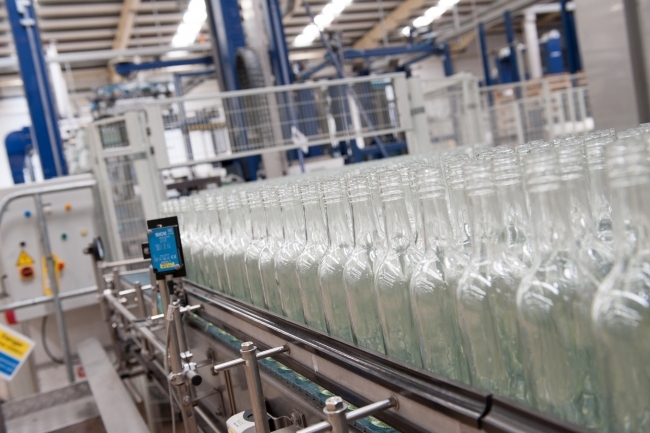 But Encirc could equally have been chosen to illustrate the company’s holistic approach to sustainability, which addresses the environmental impact of glass production, as well as the social and economic sustainability of the business. 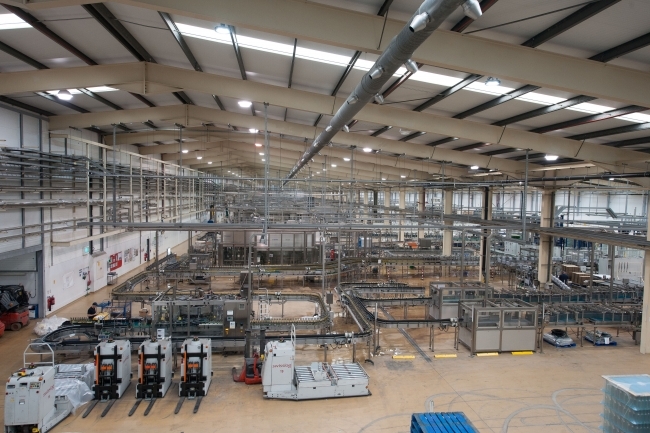 A relatively new company when it comes to the production of glass, Encirc was set up in 1998 but, as O’Donnell explains, the whole ethos of the company has shifted since its inception. “We were principally involved in the manufacture of glass containers, but now we are not just a glass company. There is much more that we do,” he says. Thanks, in part, to its incredible growth – it quickly built up a 30% share of the market and opened a second site in 2005 – Encirc can now offer clients modern filling facilities, warehousing and logistics solutions. And this complete supply chain offering is made even more attractive to customers by Encirc’s work towards improving the sustainability of its operations. It’s work that O’Donnell, quite rightly, is proud to talk about. Economic sustainability, of course, ensures that Encirc is profitable and delivers a return to the shareholders. But it is also about reinvesting back into the business. “Economic sustainability allows us to look at new technologies, to develop our people and to continually optimise the offering we have for our customers,” he adds. A project that links this community engagement to environmental sustainability is a good example of how this works in practice. Students from a secondary school near to the factory in Derrylin are working with Encirc to create an area supporting biodiversity, a wildflower meadow that employees can enjoy – alongside the endangered Irish hare population it has been designed to protect. “As a company it would have been easy for us to just bring in the diggers and do this ourselves, but instead we decided to set up this project with the school. Lots of the kids come from an agricultural background, so the work involved has really interested them and fired up their imaginations, from design and technology to learning about health and safety.” Encirc’s enthusiasm for the collaboration is clear, and it is looking for ways to maximise the learning opportunities, with the commercial manager bringing maths to life for the students by explaining things like costs and profitability and the publicity team teaching the art of writing press releases. Aside from biodiversity, the other elements of environmental sustainability are equally crucial for Encirc: waste management, transportation, the use of water, resource efficiency and, of course, energy use. “Glass is an energy-intensive material and the glass industry is working together with government on addressing this as part of the Industrial Decarbonisation and Energy Efficiency Roadmaps to 2050,” says O’Donnell. Encirc is also working closely with Siemens on understanding and managing its energy use. Understanding the data – and how it can be used to reduce the environmental impact of the glass industry – could also offer Encirc considerable cost savings. O’Donnell says: “Anything that creates a cost in the production process is something that we want to address. For example, one challenge is that in glass production every 20 minutes the process needs to be interrupted in order to swab the machines. Are there better ways of doing that?” That’s a practical example of where innovative technology and making use of data could make the whole production line more efficient. Another example is Encirc’s investment in taking out the defects in glass. Or rather, removing the need to take out defects. “What we want to do is understand what is making the defects in the first place and stop them happening.” For this collaborations with organisations such as the Advanced Manufacturing Research Centre (AMRC) are playing an important part, often providing innovative, unexpected solutions. “You go to someone like the AMRC with a perceived problem and they come up with ideas that you might not have even considered. They take you down different paths,” says O’Donnell. 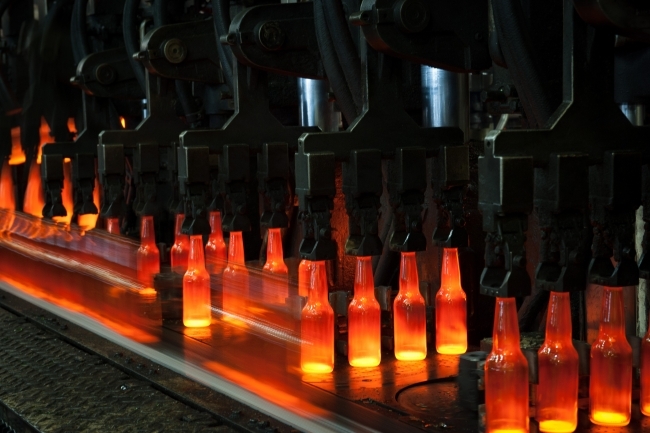 Encirc’s positioning in the market, with its full-circle supply chain solutions, put it in a unique position to really have an impact on glass manufacturing and the glass industry as a whole. And it is already making a difference to the carbon footprint of many of the bottles of wine you might buy from your local supermarket. A 2016 WRAP study found that importing wine in bulk can reduce carbon emissions by up to 40% and it’s easy to see why – wine bottles shipped over from Australia or New Zealand arrive in the UK then travel up and down the motorway in gas-guzzling lorries, from warehouse to distribution centre to supermarket. With Encirc, the wine comes over in bulk and is bottled here in the UK, and then is stored and distributed from its on site logistics centre, with no unnecessary trips involved. This is just one example of Encirc’s continuous improvement and development of its processes, and a reason why staff want to work there. “The facilities that we have are world class, there is an excitement about what we are doing, the volumes we are producing and the new projects we are working on,” says O’Donnell. Employees are involved in these developments, and a comprehensive training programme means that staff can create opportunities for themselves. The inclusive approach is important, and closes the circle of Encirc’s sustainability message. “We involve staff in the development of solutions and make sure that everyone is involved in creating and sharing our overall strategy.” This helps to raise the profile of Encirc and also spread the word about the recyclability and the sustainability of glass.